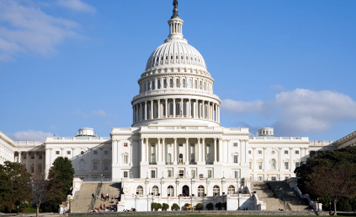 A bill can be introduced in both The house and The Senate. They go through virtually the same process but with different numbers of votes. The bill goes through both houses and eventually goes to the President. Idea- Every bill starts with an idea. This can come from the citizens, the White House, or any special interest groups. Though anyone can draft a bill, only members of Congress may introduce it. Introduction- A senator or a representative must introduce the bill before Congress even considers it. Every bill is given a name and a number when it is submitted to a committee. Committee Stage- The bill then goes to a committee where it is closely examined. If the committee does not act on the bill, it is dead or they can also pigeon hole the bill as well. Bills are often referred to a sub committee for studies or hearings. When the hearings are completed, they can change or mark up the bill. If they like the changes made to the bill, they may vote to kill the bill or send it to the floor. 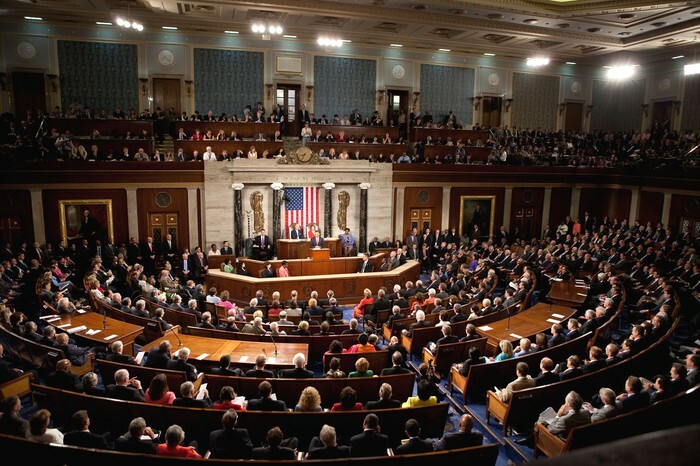 Debate- When the bill is sent to the floor, the house or senate can debate about the bill. The senate can talk as long as they want and even preform a filibuster, while the house only has one hour. Voting- There are three forms of voting: voice vote, standing vote, or a full call vote. Each bill that is voted on must have the majority rules vote or will not be passed. Conference Committee- When it is going through both houses and is changed traumatically, a conference committee is formed to work out the differences. If they are not able to reach any sort of agreement, the bill dies but if they do agree a conference report is made. Both the house and the senate must agree with this. It is then sent over to the President. Presidential Action- Once the President sees the bill he either can sign it into law, do nothing and in ten days it becomes a law, or veto the bill. If the bill is vetoed it will be sent back to the senate and the house for a two-thirds overriding vote. Watch this super cool video on how a bill becomes a law! 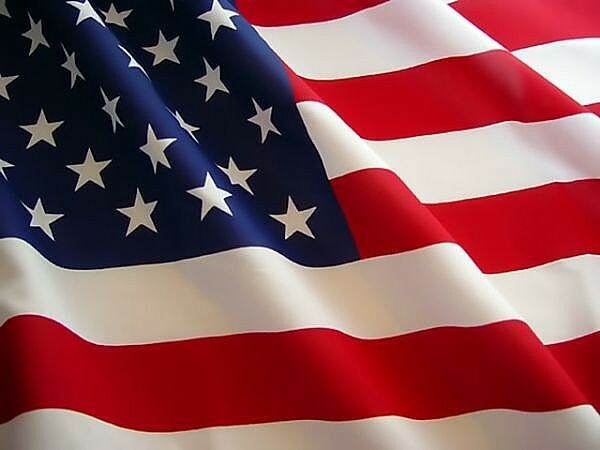 The house currently has 435 members total from our great nation. The number of reps a state gets is due to the population. 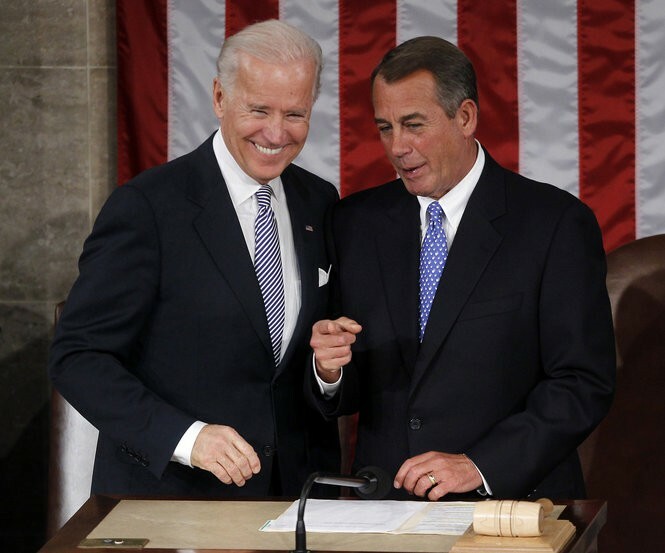 Vice President Joe Biden, leader of the senate and House Speaker John Boehner. They both are very important keys to Congress. Though Joe Biden only participates when it comes to a tie in the Senate, he is still a component. 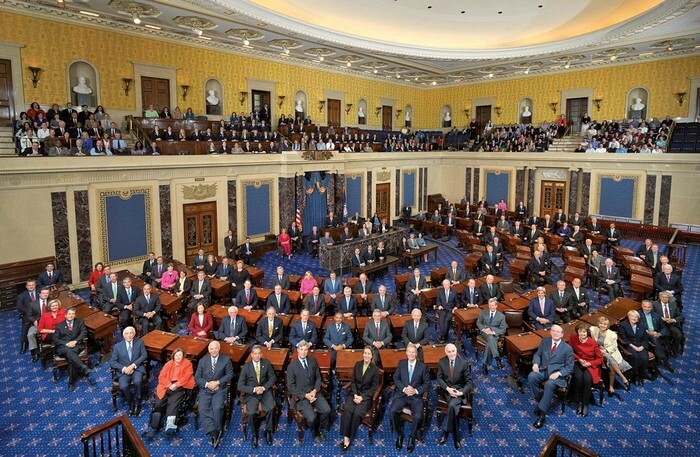 The senate has two members from every state to represent them. There are only 100 people total in the senate. Filibuster- A filibuster is a prolonged speech only used in the senate to make people vote your way or kill the bill entirely. Usually the minority uses this when they do not have the votes in their favor. They are allowed to talk about anything and everything as long as they are standing and speaking. 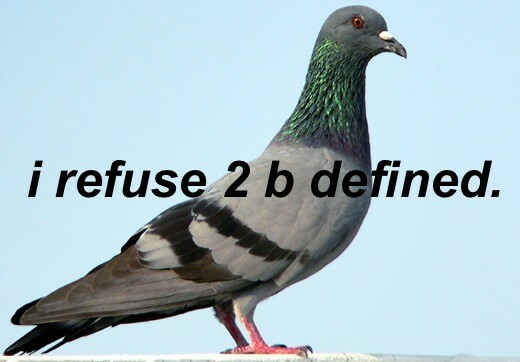 Pigeonhole- A committee will ignore a bill by placing it aside and never coming back to it again. Come up with a bill today! It's your country and if you have an idea get in touch with the representative of your region! Write a letter, email, call! Whatever it takes to be heard.